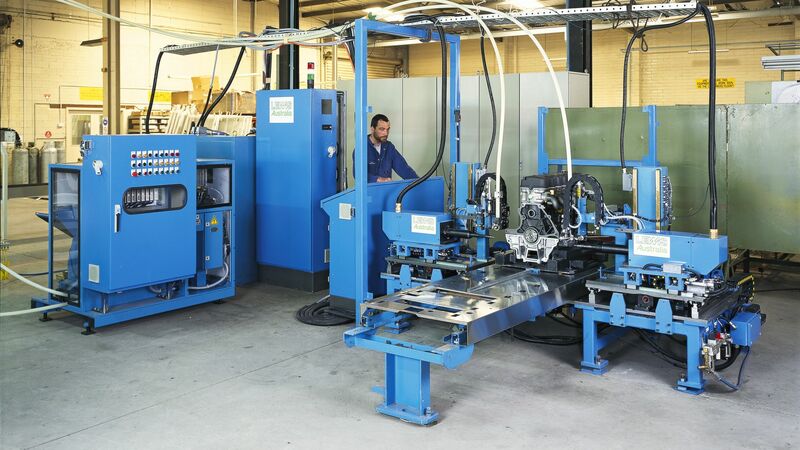 Systems ranging from highly automated engine assembly and hot testing to medium volume pre assembly of components. 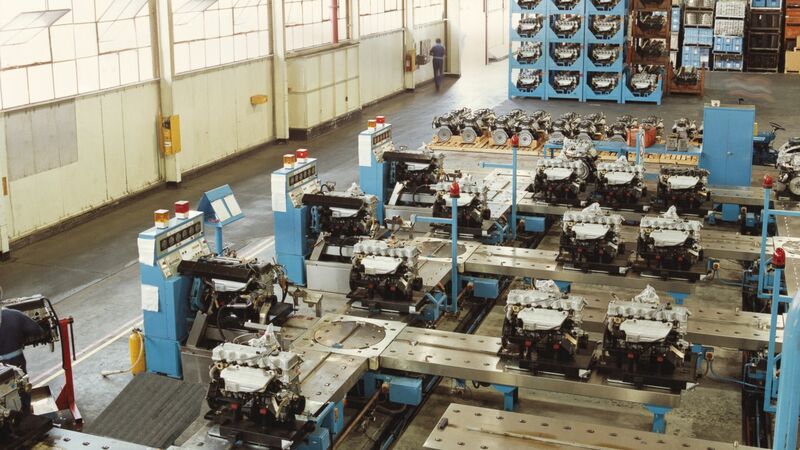 Cylinder head assembly shown using an accurate pallet conveying system to automatically move parts between each semi automatic station. Modular conveyor allows flexibility of layout for optimum part delivery and supports lean manufacturing. Most assembly operations are error proofed and suitable for continuous operation. 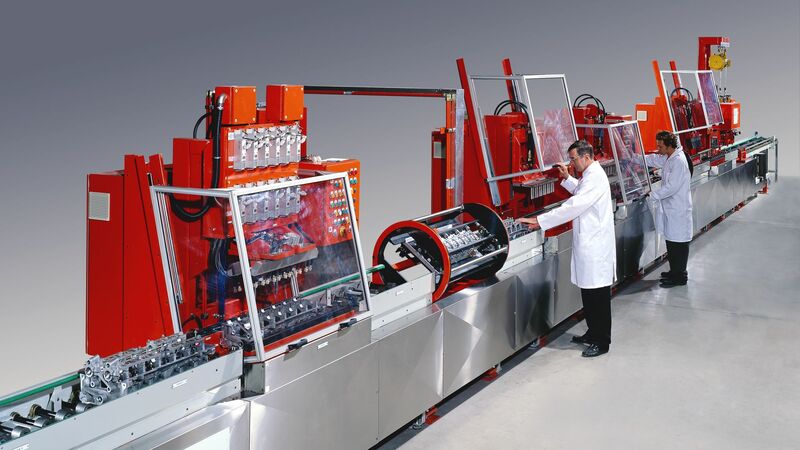 Automatic nutrunning systems ensure the utmost in precision and repeatability. 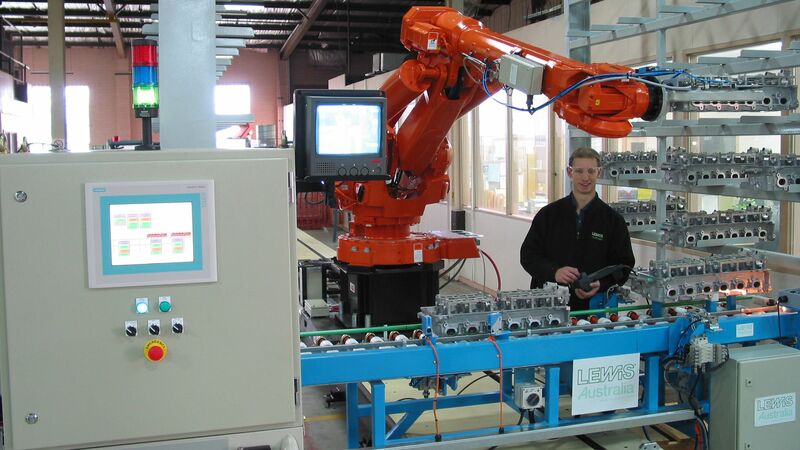 Use of industrial robots to maximise flexibility and precision whilst maintaining short cycle times. Can be stand alone or an integral part of a complete assembly facility. Removes operators from potentially hazardous environments and consistently produces high quality products. 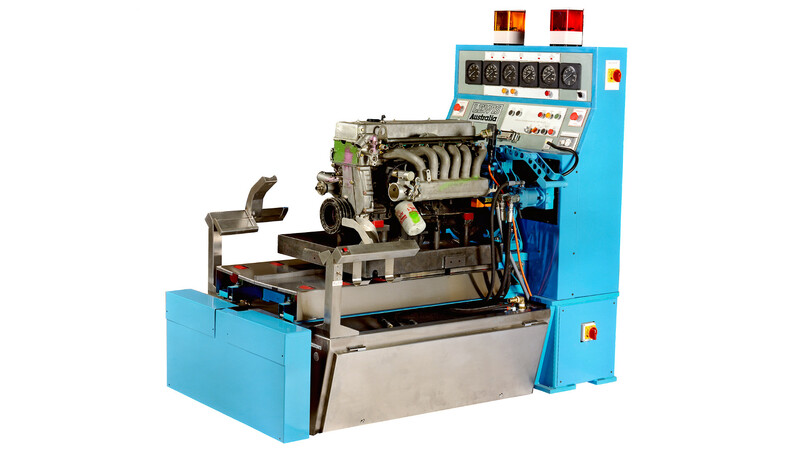 Machines capable of measuring various factors automatically or in manual operation improve product quality by highlighting or rejecting non-conforming products. These can be either stand-alone or part of an integrated facility, Each machine is purpose built specifically for the application and either installed in new lines or fit within pre-existing processes.